Coding is a super useful skill for the next generation to have, like if you were the kid who could use internet in the nineties, it sure put you a step ahead. The good news is that coding is easy to learn and Cubetto is here to help. 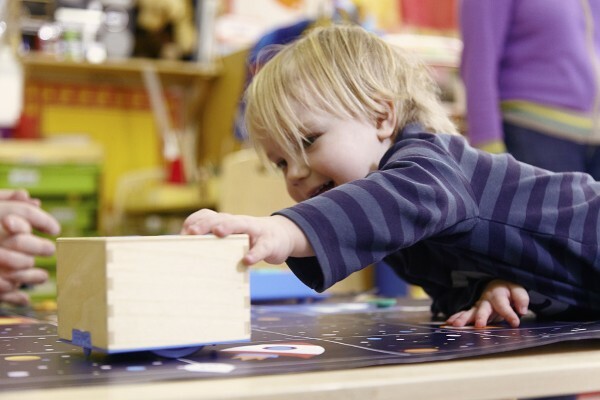 Children as young as three can learn basic coding skills thanks to Cubetto – a stylish wooden block set that turns coding language into a hands-on experience. This is a system inspired by LOGO Turtle, approved by Montessori, and gets two thumbs up from us for stylish design. 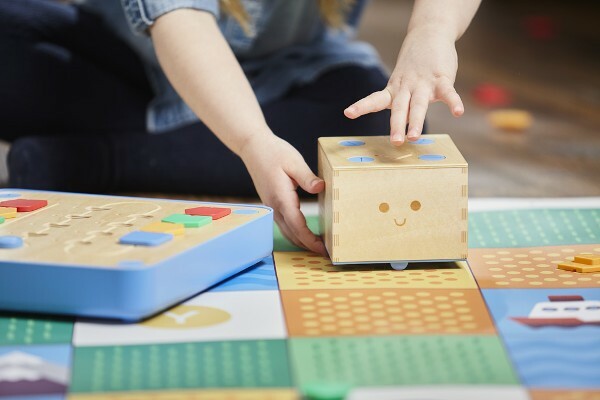 Cubetto is a cute wooden box robot who wants to be told where to go and how to get there. 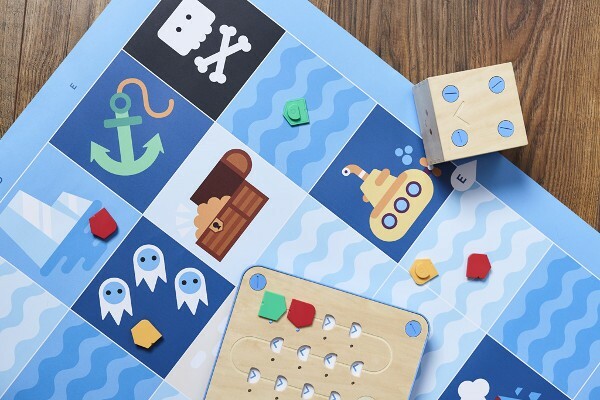 The set comes with a map for Cubetto to navigate, a story book and a board with wooden blocks to help you build your coding language and program Cubetto. As he makes his way around the board kids learn about how programming language is built while also creating fun stories that help to solidify those lessons. There are more than 50 billion possible sequences to be built with this game so there is no chance of running out of new adventures and stories. What I love about Cubetto is the sleek minimalist design that is non-gender specific. The concept of coding can sound complex and overwhelming but Cubetto brings coding back to basics so that learning is easy and lots of fun. Primo Toys are the makers of this wooden wonder and they are currently running a Kickstarter to get it into mass production. You might remember we told you about the original Cubetto in 2014, but this new version is an upgrade with an entire playset, making Cubetto more interactive and available for children as young as three. The project has already raised nearly five times its US$100,000 goal, showing how much love there is for Cubetto. With only two weeks left, you can make a pledge of US$145 to get one of the first Cubettos, due to be shipped out in September 2016. If you know a kid keen on coding you might also love Jewelbots coding bracelets or these amazing Star Wars games that let you build a galaxy with code.